Your iPhone will feel a lot snappier with this little trick. If you’re still rocking an older iPhone, you might notice that things are starting to feel sluggish when you run the latest iOS 9.3. If so, there’s a quick trick to speed up your iPhone: simply disable those pretty animations in iOS 9. Your iPhone will feel quite a bit snappier as a result. iOS uses parallax to give your iPhone an illusion of depth on your Home and lock screen. When it’s on, you might see a zooming animation when you open folders or apps, wallpaper icons and alerts shifting when you move your device around, some images you want to use as wallpaper seem slightly zoomed in, and you might see more motion in apps like Weather or Messages. To turn this off and make your iPhone seem more responsive, launch the Settings app on your iPhone (or older iPad, if you like), and then tap on the General tab. Tap Accessibility to go into the group of settings made for folks with disabilities. Tap on Reduce Motion, then toggle the feature to ON. This will turn off animations when you open and close apps, as well as disable the parallax feature in your wallpaper settings. 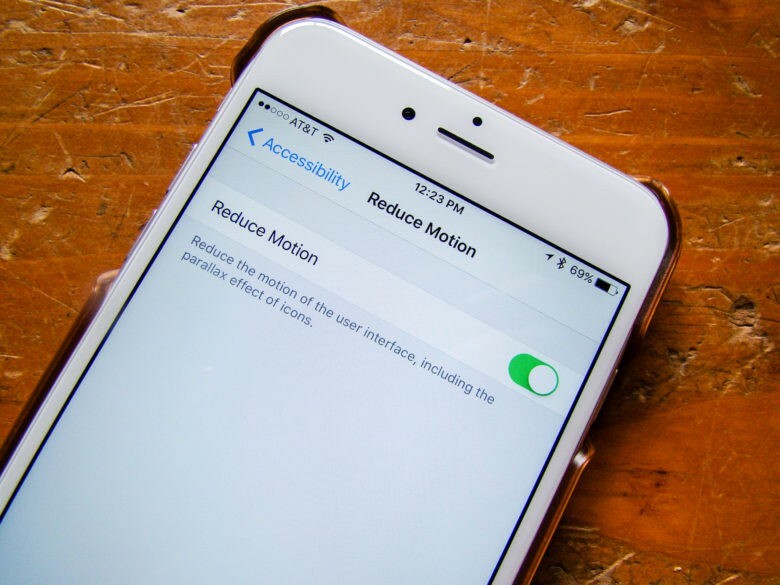 Your iPhone won’t have to work harder any more to create these pretty animations or motions, thereby leaving a bit more overhead to run your iPhone in general. Now you can continue using that older iPhone or iPad without having to wait for the creaky hardware to catch up with all these fancy new animations.